Looking for business opportunities in Indonesia? Do you want to set up a business that can be started with low investment and can give you good profits? If yes the food business especially food franchise business can be one of the best option you can go with. Catering perfectly to your needs BrewBakes coffee shop master franchise is a wonderful opportunity to grab. With us you will get total training and support (pre-opening and ongoing). We have a solid business plan with concrete marketing strategy ensuring success of BrewBakes Coffee Shop in Indonesia. If you truly want to be the boss of your own starting a business in low investment then BrewBakes coffee shop master franchise is the best fit for you. So, grab the opportunity today and become your own boss. Why BrewBakes Coffee Shop Master Franchise in Indonesia? Indonesia, officially known as the Republic of Indonesia, is a transcontinental country situated between the Indian and Pacific oceans, chiefly located in Southeast Asia. It is the world’s largest island country, with more than 13,000 beautiful islands. It is the 7th largest country in the world in term of area combing sea & land area. In terms of only land area, it is the world’s 14th largest country. 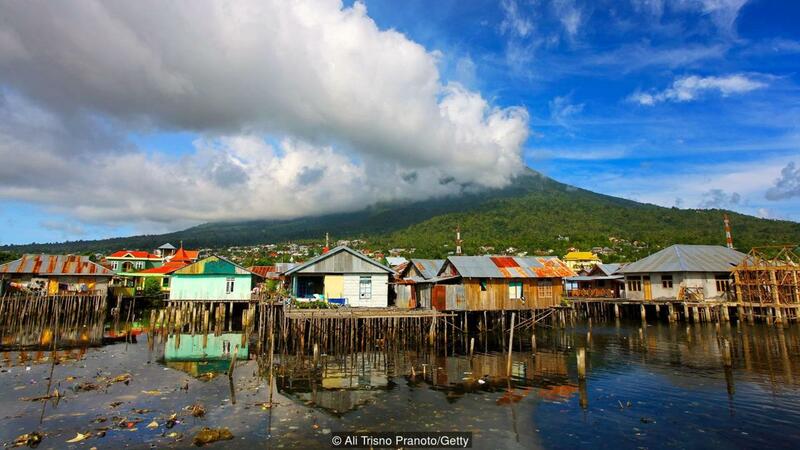 It is also the world’s most populous island and 4th most populous country. Indonesia offers perfect business climate. There are various industries and businesses flourishing and booming well in this country. Its economy is the world’s 7th largest by GDP at PPP. It has the largest economy in Southeast Asia. Agriculture is one of the main components of Indonesia’s economy. Tea, Coffee, cacao, spices, medicinal plants, rubber, palm oil, and rice are main agriculture produces in the country. Hence, sourcing of rich quality coffee beans in this country is not an issue. It is extremely best for coffee café business in Indonesia. BrewBakes has explored truly potential for growth and success of food business and coffee shop master franchise business in Indonesia. Apart from Agriculture produces, other important sectors and subsectors contributing well to Indonesia’s economy are food, beverages, tobacco, livestock, forestry, fisheries, oil & gas, natural gas, non-oil & gas, petroleum refining, wood & wood products, paper, printing, non-oil & gas manufacturing, cement, non-metallic quarry, iron, steel, basic metals, transport equipment, machinery, electricity, construction, finance, real estate, business services, hotels, restaurants, coffee houses, food café, business services, tourism, amusement, recreation, etc. The country offers very favorable circumstance and environment for growing businesses of various sectors. Not only big industries, small businesses are also doing well in the country. There are more than 50 million small businesses in Indonesia. BrewBakes coffee shop master franchise opportunity would be one of the best business opportunities in Indonesia you can go with. Tourism also plays a vital role in Indonesia’s economy. Indonesia has been one of the most sought after countries in South Asia attracting tourists and nature lovers from different parts of the world. There is a high influx of tourists throughout the year. Nature and culture are two main components of tourism in Indonesia which appeal the tourists most. Nature tourism, dive sites, islands, national parks, volcanos, cultural tourism, ancient Hindu & Buddhist temples, Islamic heritage, colonial heritage, urban tourism, gastronomy tourism, etc are some of most south after tourism opportunities in Indonesia which draw the attention of tourists from different parts of the world. Major tourist attractions in Indonesia include Beratan Lake & Temple-Bali, Lake Laut Tawar-Aceh, Lake Toba-North Sumatera, Pagaruyung Palace-West Sumatera, Kawah Putih-West Java, Giri Mino Beach, Ternate-North Maluku, Candi Mendut-Central Java, Gedong Songo Temple-Central Java, Tana Toraja-South Sulawesi, Batu Secret Zoo-East Java, Pangandaran Beach-West Java, Parangtritis Beach-Yogyakarta, Medan Grand Mosque-Medan, Equator Monument-Pontianak, Fort Rotterdam-Makassar, Saronde Island-Gorontalo, Ambarawa Railway Museum-Central Java, etc. Cities and towns of Indonesia have excellent infrastructure and offer good locations with growth potential for BrewBakes café master franchise business. Jakarta is the capital, largest city and major commercial center in Indonesia. It is also the second most populous urban area in the world. Other major cities which can be good place for BrewBakes coffee shop master franchise business are Surabaya, Medan, Semarang, Palembang, Bogor, Malang, Bandung, Bekasi, South Tangerang, West Jakarta, South Jakarta, Depok, etc. Bali and Jakarta in Indonesia are also known for destination wedding locations. BrewBakes has grown as India’s leading coffee shop and food café chains with more than 35+ outlets across the country. With such impressive presence in India, BrewBakes now offers coffee shop master franchise opportunities in the international markets. We are offering food business and coffee shop master franchise business opportunities in Indonesia, Kenya, Maldives, Mauritius, Myanmar, Bangladesh, Philippines, South Africa, South Korea, Taiwan, Vietnam, and various countries. If you are looking for a profitable business opportunity at low investment then BrewBakes café master franchise is certainly the best fit for you. Grab the opportunity for being your own boss. Own a café business franchise. Call now: +91-7838938556, 011-22755534 / 43016140.